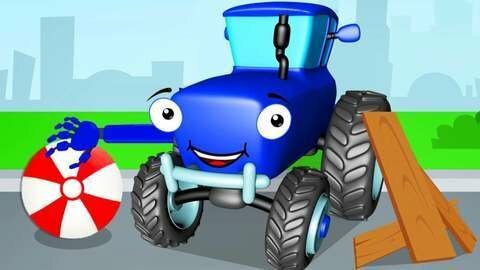 The hardworking Blue Tractor goes for an upgrade at the auto shop in this episode of car cartoon for toddlers. It receives new arms and helps other cars in trouble with it. Unfortunately, his arms get wet and fall off in the end but he is still happy. Watch other full episodes of car and truck cartoons by visiting SeeZisKids.com.